“Ant-Man and The Wasp” is the 20th film in the Marvel Cinematic Universe and is of course the sequel to the surprisingly good “Ant-Man”. I really enjoyed the first film, so I was looking forward to this one and after watching it, I think it has better action than the first film and is still very enjoyable, but as an overall film, the first one is better. 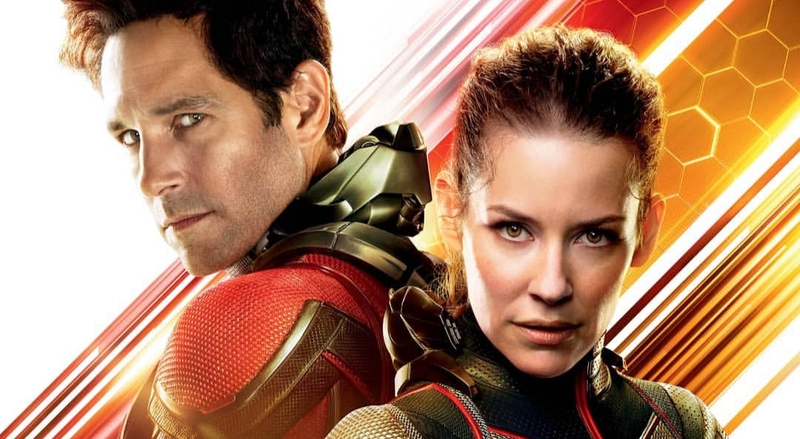 I’ll start off with the cast, Paul Rudd once again does an incredible job and is hilarious, Evangeline Lilly does fantastic and the chemistry between her and Paul Rudd is great. Michael Douglas also does another fantastic job, Michelle Pfeiffer was really good, but once again Michael Peña steals the show. The action here was really done and I liked the action in this film more than the first. There was alot of good usage of the shrinking and growing in the action and I thought for what it was, it was directed pretty well. My main problems with the film were, the villian, which I thought she was played well, but I felt like she was just there and was overall just okay. My other problem is the comedy, now don’t get me wrong this is a funny film, but I felt like at some points there were to many jokes and it kind of got a little annoying, but it did’t take me out of the film. In the end, this film is really enjoyable and good, even though it is not as good as the first, I am really excited to see this one again, but in IMAX 3D next time, and I do really recommend you see it, if you liked the first film and are a fan of these Marvel films.